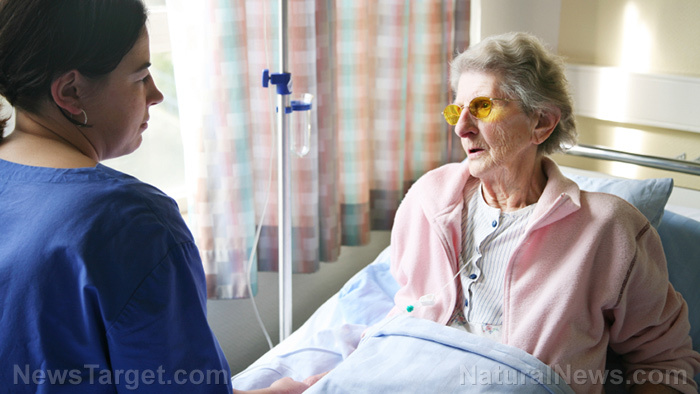 (Natural News) Dealing with SHTF situations can be very difficult, but exponentially more so for elderly individuals. Among Americans who are 50 years and older, about 15 percent admit that they would not be able to evacuate their homes in the case of natural disasters without outside assistance. What happened during Hurricane Katrina seems to prove this much – about 71 percent of the victims were older than 60. Most died in their homes, while some perished in nursing homes allegedly after being abandoned by their caregivers. Elderly people have a number of concerns that complicate their ability to survive in SHTF situations and which they – and their loved ones – need to prepare for just in case. Advanced age is often accompanied by health issues. Most elderly people suffer from chronic conditions that not only make them prone to infections and other serious diseases but also reduce their adaptability to sudden changes in their environment. For instance, they are more likely to suffer from both hyperthermia and hypothermia than average adults. Their precarious health status also means they are likely to be in very specific medication regimens that cannot be interrupted lest they become at risk of severe and possibly fatal consequences. That said, seniors need to have a stash of their medication enough for several days and kept in secure, weather-proof containers, for cases of emergency. Another factor that needs to be taken into account is frailty, now recognized as a disabling syndrome separate from the effects of the normal aging process. Some seniors have weak muscles that make it difficult for them to move or walk. In many cases, they require assistive equipment, such as canes, walkers, wheelchairs, and even oxygen and other medical equipment. Finally, a large percentage of seniors have impaired senses and memory. These can impede their ability to seek safety or understand the severity of their situation. They can also be prone to mental health issues, with older white men being at a higher risk of suicide than any other age group. When considering seniors, it is important to keep in mind that their experiences are not necessarily similar to those of people much younger than they are. For instance, many of them may have lower literacy levels than the average adult and, in the case of immigrants, may not even be able to speak or understand English. In the case of the latter, they may need the help of a translator or a bilingual family member or friend for them to follow instructions or relay their needs. Factors like these can slow down communication for everyone and must be prepared for beforehand. Elderly individuals are likely not to have the same mentality as younger preppers. The loss of loved ones and friends can make them more prone to depression, while the overwhelming gravity of their situations may lead them not to do anything at all. There have been incidents when moving them to a different nursing home has resulted in what is called “transfer trauma,” which leads to either illness or death. For many seniors, their independence is a big deal and any changes in it can have drastic effects on their behavior and outlook. They can perceive public assistance as a loss of this independence or a robbery from those who need it more than they do, which is why many of them eventually reject aid. But even when they do need help, there is a very big chance they won’t obtain it. Relief organizations and emergency workers often fail to recognize the contributions and the needs of the elderly during dire situations, rendering seniors “invisible.” In the chaos of SHTF events, they are often ill-equipped to compete with younger, stronger, and faster people for resources. There have been reports of the elderly expending their energy to reach central relief points only to find little or nothing left for them. Seniors have special needs that make living through SHTF events harder, needs that must be taken into account in prepping for their safety and survival.